Another thing that I think of when I think of the south is tea parties. Not that I have ever been to one but they sound so elegant, so girly, so southern, so Gone with the Wind! Ladies in pretty dress, eating light food, sippin’ on tea, and talkin’ about the latest happenings. 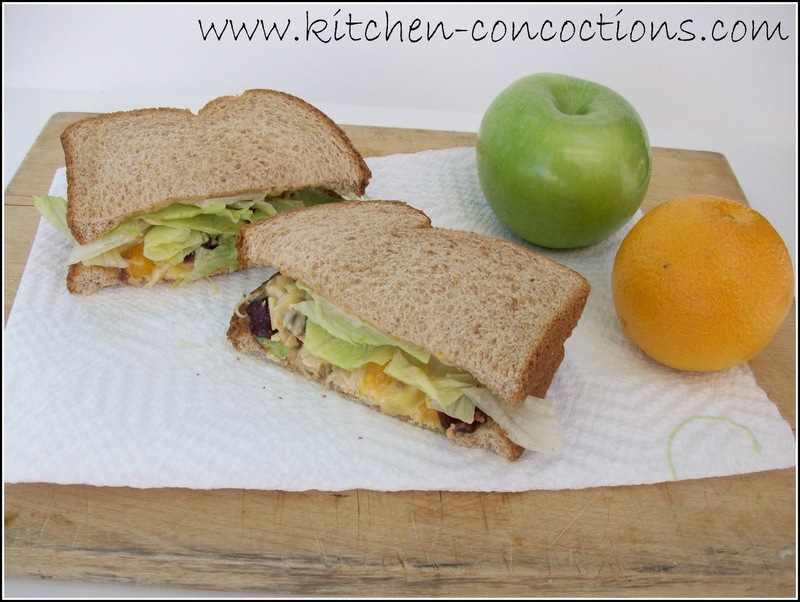 These chicken-salad sandwiches seem like the perfect thing to serve with afternoon tea, that is if I had afternoon tea. The crunch of the nuts, the pop of the dried cranberries, the tender chicken, and the sweet sauce, this a rockin’ dainty sandwich. My only regret when I made these was that I did not have a big, beautiful, buttery, flaky croissant to eat this yummy concoction on. P.S. Even if you aren’t a tea party kinda gal make these sandwiches to serve at your next bridal shower, baby shower, or luncheon, or just because! In a bowl, combine almonds, pecans, pineapple, cranberries, and orange segments, tossing to blend. Set aside. In another bowl, combine mayonnaise, mustard, and apricot preserves, stirring to blend. Add mixture to fruit-nut mixture, along with chicken, stirring well. Spread chicken salad on 6 bread slices. 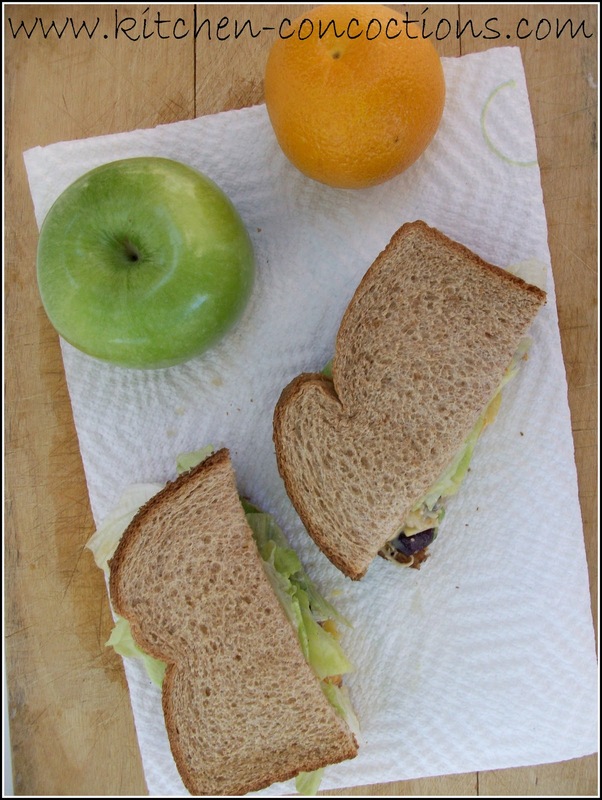 Top with lettuce and remaining bread slices. YUMMY!!! I am from the South and can eat sandwiches for every meal of the day. 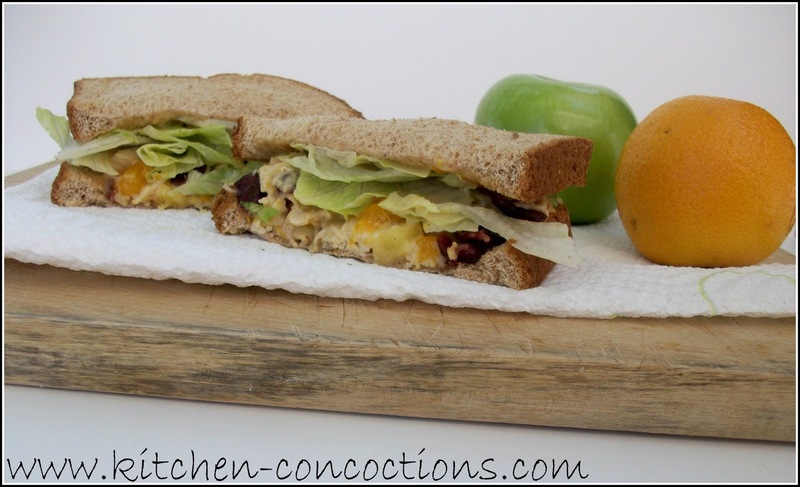 Love chicken salad, and everyone has a different take on them, thanks for sharing! I thought I had tried most versions of chicken salad, but these have some great unique flavors. YUM! !